Private Guiding with Ian Taylor Trekking will give you more acclimatization, safer experience and 20+ years experience working in the regions we offer. 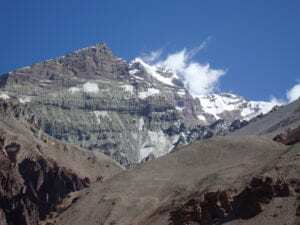 Ian Taylor Trekking specializes in running trips to Nepal in particular Everest base camp, Island peak, Kilimanjaro and Mera Peak and Annapurna circuit all with additional acclimatization. In Africa we our a Kilimanjaro specialist offer quality 8 day treks on the Lemosho route. In South America we specialize in treks to Machu Picchu, Huayhuash, Aconcagua and Bolivian climbing trips. More than that, we run specialized team and group treks. We have a personalized service to all our clients giving us 99% success on our trekking trips to Everest base camp and and 95% success rates on our 8 day Kilimanjaro climbs. We achieve this by accessing people’s experience and offering quality training advise to all our clients and giving quality tested advice prior to all our trips. We can work with groups making sure each individual is fully prepared, when you pick up the phone to call Ian Taylor Trekking you get directly to Ian and he will deal with every aspect of each trek, expedition or private group adventure. Read our Testimonials. When it comes to private guiding, you can have an Everest Summitteer with you for your whole journey giving you more experience than other trekking companies. We also have highly qualified and experienced International guides ready to lead your private group. We offer group training, personal training schedules full access to our experienced team 5 days a week. If you want to succeed in reaching your goals in the mountains, then Ian Taylor Trekking is the team you need to be with for you mountain adventure. CALL NOW and speak to Ian about your chosen adventure.